In an effort to simplify and organize my closet this summer I needed a new place to hang my jewelry. 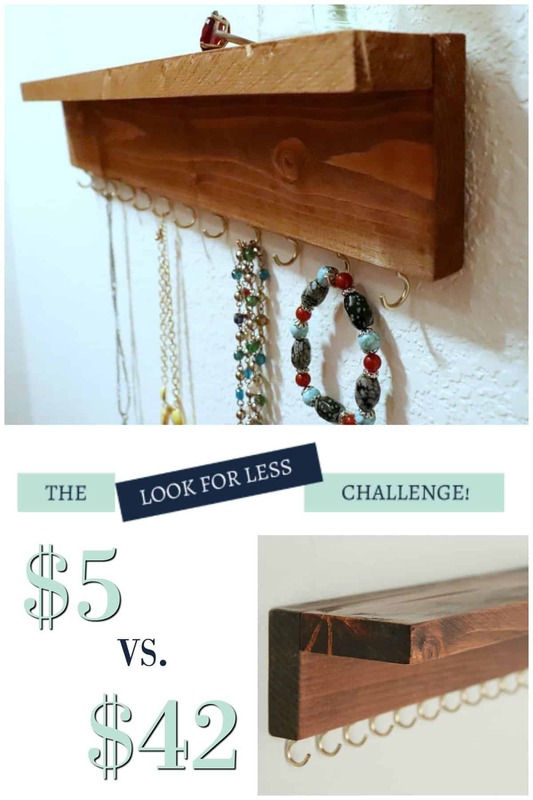 I opted to build a simple wood jewelry organizer with a shelf for just a few dollars. I wanted to see the items I have instead of keeping them hidden away, already I am wearing pieces I forgot I had! 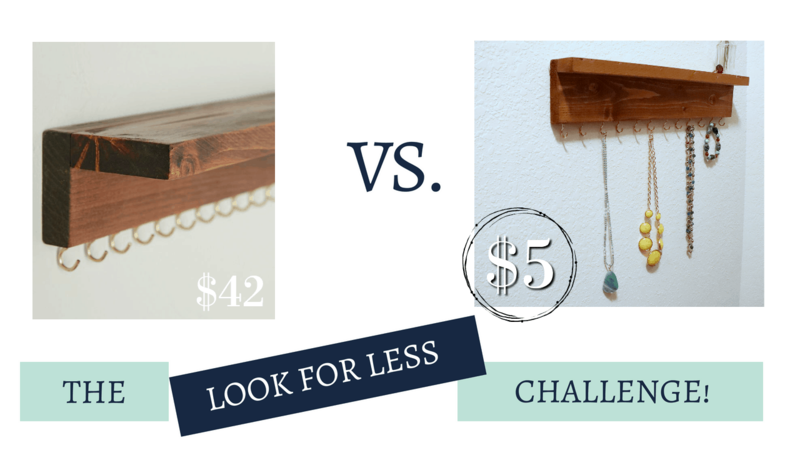 This project is part of the Look for Less Challenge I am co-hosting on YouTube today. Be sure to check out the look for less playlist to see all the fabulous projects that have been created. I don’t often shop at Anthropologie, but I sure do like to look. They have an amazing collection of curated pieces that are typically simple and functional. But I get sticker shock every single time I find something I like, so I stick to browsing and dreaming. This time, I spotted a jewelry organizer that would be perfect in my closet. I wanted to simplify my jewelry collection and keep pieces out in the open so I could see what I have every day. I couldn’t bring myself to pay full price so I decided to make my own jewelry organizer with a shelf inspired by the one I saw at Anthropologie. I started by measuring my area and determined an 18 inch jewelry organizer would work best in my space. I cut and sanded my boards then stained them and let them dry. I attached the 1×2 to the 1×4 with 2 screws to create a shelf. Next I added 12 screw hooks to the bottom to hold necklaces. Finally, I hung the jewelry organizer in my closet with D rings and screws. 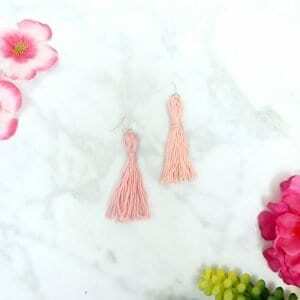 This jewelry cost less than $5 to make using scrap wood and leftover stain. It was such a simple project and fits my need for a simple jewelry organizer. Be sure to visit my co-host The Latina Next Door to see her look for less project and head over to YouTube for more videos. Have you ever DIY’d a piece you saw in a store? I’d love to hear about it.